Guess and Vote for FIFA world cup 2010 winner, What do you expect? 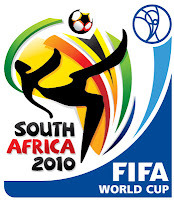 FIFA world cup Begins on June 11, 2010 and on Ends July 11, 2010 in South Africa. We are waiting for this remarkable game and only 9 days to go. That we can take a Joice by just viewing it live on television channels. For this topic every individual have their own best team. The maximum vote is going to Spain. About 50 thousand people voted on that page. 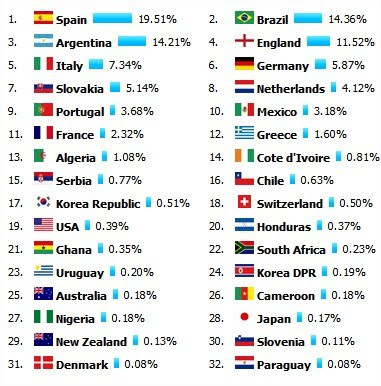 You can also vote by visiting on this page: Vote to world cup winner. It is not possible to make a winner to any country by your vote. It is just to uplift you favorite country. Hack Tutors — Blogger Tricks, Blogging and Social Media Tips: Guess and Vote for FIFA world cup 2010 winner, What do you expect?